Town in the province of Ravenna, Lugo was inhabited since the Neolithic Ages, as evidenced by recent archaeological finds that have been unearthed and the remains of dwelling villages. However, the first certain evidence of a settlement dates back to 782, as its name appears in a document edited by Pope Adrian I. In 1161 Lugo was given in fief by Frederick Barbarossa to the Counts of Cunio, while in 1202, it returned to the archbishop of Ravenna, who started the construction of the first defensive systems. 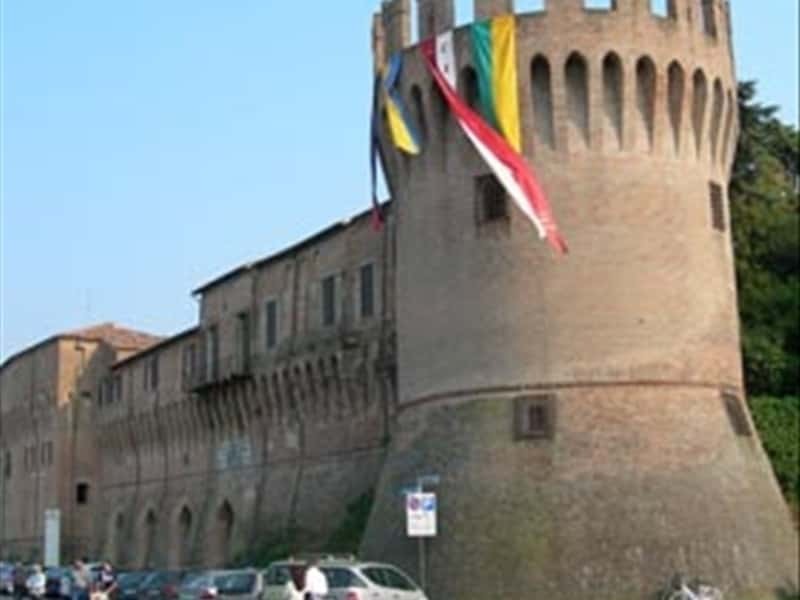 Between the XIV and XV centuries the town was ruled by various noble families until 1437, when it was acquired by the Este family of Ferrara, that ruled until 1597, year in which, the last heir of the family died and so the city was returned to the Church , to which it belonged until 1859. - the Theatre Rossini, dedicated to the famous Italian musician, whose father was born in Lugo and who received his first musical education here. This town web page has been visited 24,426 times.